We’ve seen WD make a good impact on the NAS market with its My Cloud series over the past couple of years, and now, it aims to continue that impact by breaking into a new segment: business. With its DL2100 and DL4100 NASes, WD claims to bring ease, security, and important functionality to the small business. Does it succeed? It’s extremely enjoyable to play around with new technology. That’s the primary benefit of being an editor for Techgage. From new cutting-edge technology to refinements on existing, we get to touch new and exciting gear all of the time. It’s a rough lot, we know. With a focus on the PC industry, there are a few mainstays that have been around for as long as we have been on the Internet, and some of those have been supporters of us from early on. One such company is Western Digital. Our first look at a WD device was posted all the way back in 2006 when Rob put a $220, 500GB hard drive through its paces. 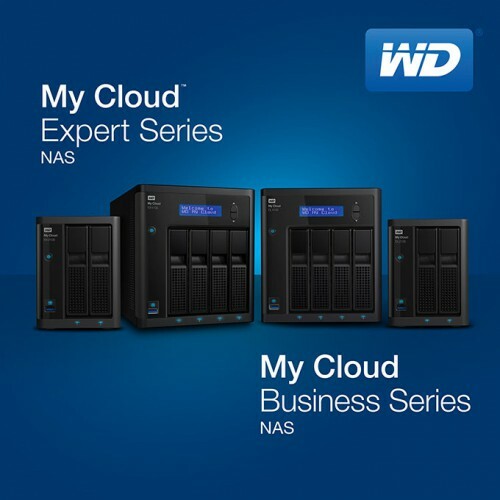 Since then, we have looked at many WD devices, most recently its new My Cloud NAS offerings. Today, we are keeping with the trend started nine years ago by working with the DL4100, WD’s four-bay variant of its My Cloud Business series of NAS. The DL4100 is the company’s largest offering of Linux-based NAS devices, and we’re excited to have it on our testbench. Some of you might recall our review of the WD My Cloud EX4. That NAS earned an Editor’s Choice award for its value, and it’s still a great option for home users looking to increase both the capacity and redundancy of their networked storage. Since then, we have looked at a few other “prosumer” class NAS devices and have a few more in our hopper, waiting to publish. Since that review however, Western Digital has worked hard to improve the firmware on its devices, providing additional stability and features. Software has a wonderful way of increasing the value of a product. The DL4100 looks like almost all four-bay NAS devices available today, excluding rack mounted units. If the brand logos are removed, it looks very similar to the ASUSTOR AS-204TE we looked at a few months ago, and WD’s very own My Cloud EX4. With four vertical drive bays along the front of the NAS, the DL4100 offers quick access to the hot-swappable bays. It’s unfortunate that the bays cannot be locked, but this is a minor complaint. There is a blue LCD screen at the top of the DL4100 that provides basic device information such as temperatures, hostname, and IP address. To the right of the screen is a pair of buttons that allow the user to cycle through the readouts. To the left of the drive bays, near the top, is the power button. On the same side but in the lower corner, there is a USB 3.0 port with a button above it. By connecting a drive and pressing the button, the DL4100 will back up the data on the USB drive to a user-defined directory on the NAS’s volume. The left side of the DL4100 has the only ventilation holes to be found. This means that aside from these holes, all air is pulled by the device’s large 120mm fan through the ventilation holes in the drive carriers. Once we break open the DL4100, we will see just what these side ventilation holes are helping to keep cool. Finally, there are a pair of power ports. This allows users to cable the DL4100 up to separate circuits should they be available. Or, they can be plugged into the same circuit or power strip for protection against a PSU failing. All the way over, in the lower left hand corner, is the standard Kensington locking hole for securing the device. Drive access of the DL4100 is as simple as it was with the EX4. By actuating the lock at the top of the carrier’s handle, the entire handle pops out and downward. There is tension on the drives so they press outward as well when the handle is released. This makes for an uneasy feeling the first time you place a drive in the DL4100 and secure it in place. As we can see, we’ll be testing the DL4100 using four of WD’s excellent 6TB Red drives. With the exterior covered, let’s do something that we haven’t done in quite some time: let’s look at the internals. By removing three screws that run the perimeter of the back, we can remove the housing and get to the internals. For everyone reading this that intend to purchase the DL4100, your deconstruction of the unit should end here. With the housing removed, we have access to a SO-DIMM. This allows you to upgrade the system memory of the DL4100 from its stock 2GB up to 6GB. With the DL4100 apart, let’s take a look around. The unit is powered by an Intel dual-core Atom C2338. This CPU is clocked at 1.7GHz and runs hot enough to necessitate passive cooling. For this, a small heatsink is affixed on top of the CPU. The reverse side of the motherboard shows the vacant SO-DIMM. The only other notable feature on this side of the board is the CMOS battery. This is the side that is exposed when the housing is removed, providing fairly quick access to the two things on the inside that are upgradeable and/or replaceable. As mentioned, the DL4100 is powered by an Intel Atom C2338. This is shown below. With a look at the hardware out of the way, let’s take a look at the software.